Well, if you’re intending to buy this tablet, the title says it all. This article serves as a reminder to watch out for things that are too good to be true. Save your money and buy a proper tablet! 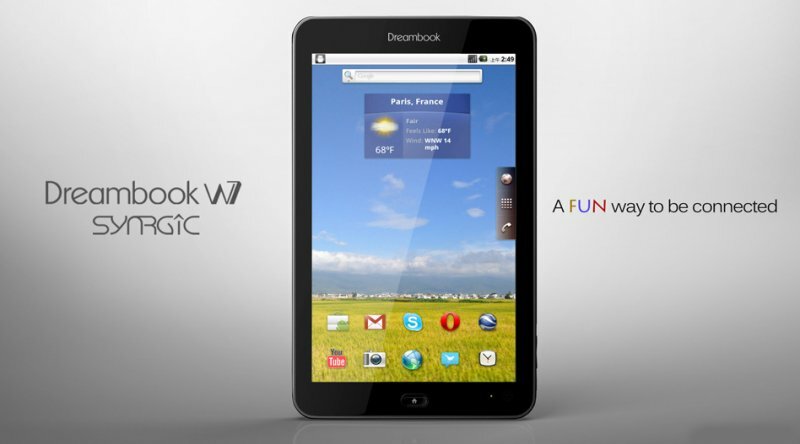 It all looks promising at first – the Dreambook W7 is an Android 2.2 tablet (upgradeable to 2.3) running on a 1GHz Freescale IMX515 processor, 512MB RAM and 8GB internal storage. The device also has GPS, Bluetooth, SIM card slot (supports 3G, call and SMS), SD card slot supporting up to 16GB, mini-HDMI output and USB host capabilities, all for 350 SGD. Upon first look, with the HOME button, the device looks like a giant iPhone with a lot of extra connection ports. It is also thicker and heavier than other tablets. No problem yet considering the price, I guess. The touchscreen is very sensitive, to the point that makes the device unusable. Scrolling through a list or a web page would just randomly clicks on items or links on the screen. I install this app, which reduces the sensitivity and seems to help a little, but it’s still not good enough for web browsing. Sometimes it is very hard to get passed the Android lock screen – the green button cannot move long enough to unlock the phone. I disable the lock by using the NoLock app. In landscape mode, text box occupies entire screen area once the keypad is shown. This is a classic Android bug, reported here. Even in landscape mode, the launcher home screen or program list still shows in portrait. But other screens appear correctly in landscape. Using a custom launcher such as ADW Launcher correctly changes the orientation, but the icon spacing is wrong. GPS works intermittently, depending on which firmware I am using. On some firmwares, GPS seems to be working but reports fake location of 0N 0W. Where GPS is working, it reports 2X the speed so it can’t be used when driving. Location determination using cell ID and wifi network doesn’t work. Neither does the compass work. Even with the SD card unmounted, hot-swapping the SD card may hang the device. Changing the SIM card while the device is on will definitely lock it. To reset the device, press and hold the reset button, which is also the power indicator light, on the bottom left side. The device does not seem to support “reboot”. The default “reboot” option in Android and all other tools will simply turn the device off. Many firmwares will have problem receiving incoming SMS (the message is not shown and discarded) while sending outgoing messages is fine. Finally, things got worse with the Android 2.3 Beta firmware. Wifi will not work until wifi sleep policy is turned off, and 3G works intermittently. With the long list of problems, all with common use cases, I guess Synrgic, the manufacturer, does not have any kind of quality control over their products. There is also no good official tutorial to flash firmware for this device and all firmwares I could find are uploaded using various file sharing websites, not on the company official site like other devices. Flashing firmware is a pain on this device. First, you will need to find the correct ROM for your hardware version (either HD104 or HD105). Then, get the device into recovery mode: press and hold the HOME and BACK key and press the POWER key for a few seconds. Copying the bootimg.tgz and update.zip to /sdcard and use the recovery menu to start updating. Notice that on some firmwares, the internal memory is mounted as /sdcard and the SD card itself is mounted as /sdcard/extsd so you may need to copy the images to the device main memory. Sometimes it just seems impossible to start in recovery mode despite pressing the correct key combination – the device will just perform a normal boot. You can get over this by using an app to reboot into recovery mode (the device needs to be rooted via z4root). The Dreambook will then turn off, and when started again, it will show the recovery loader. Used Windows XP. Windows 7 may require applications to have admin privilege and different drivers which will just interfere with the flashing process. Download the MFG ROM package of the device. Some ROMs can be found here. Start the device in recovery loader, then choose “Wipe for MFG”. Connect it to the USB port of your computer, then press and hold the RESET button for a moment. The PC will then find a new FreeScale BulkIO device which require driver. Install the device using the driver supplied in the MFG ROM package. If the device is identified as Mass Storage, disconnect everything, reboot the device and try again. Run MFGTool.exe. Click “Options” menu at upper-right corner, and further click configuration item, you can find below pop-up window. Click “USB Ports” tab, you can view all the USB port. Choose the one to which your device is connected and click “OK” to close the window. 6. Click the green Start button and the flashing process should start. At the end of the process, the tool may say “Connect device” or report an “Updater Error”. This is normal and the device should boot up to Android. The latest firmware available is V25 (27 May 2011). Unfortunately it seems that Synrgic has stopped supporting the Dreambook W7 and decided to move on with their other products and no future firmwares will be available. My conclusion is that the Dreambook W7, with a lot of out-of-the-box issues, can never be used as a productivity device, only perhaps as an expensive tool for advanced users to learn more about Android by trying different firmwares and applications in an attempt to solve these issues. mine works fine. thought I haven't tested the bluetooth or the hdmi yet. but the phone is functional and the 3g is spotty. it does have issues and id much rather have something more… consistent. But I like it. The wi-fi is pretty reliable. However, i would not recommend this to a friend. I have one and no problems with touchscreen, wifi, any ports, radio works fine and it does what is promised. I bought several of these for me and friends when i was in china last spring. Those are among the first out of thevfactory and all work great. I suspect you may have got a faulty one and should not judge the unit so hard considering you are only testing one unit. this dreambook W7 of mine was working verry well but when I tryred to reboot den, it'snt now working. No power on, can't even charge power in, can't start og nothing happen by now. is just like en dead machine. Is any one know what I can do conserning this issue? Try to hold the bottom indicator (which is also a reset button) for a few seconds and see what happen. My GF bought the 9.7" Dreambook. Some of the problems listed, like the sensitive screen, are a bit annoying, but in general it works well. The USB works to connect it with a PC, but won't read a flash disk or any other device we tried on it. We are looking at getting a case with a USB keyboard, but not sure if it will work. Thank for your feedback. I tried with USB keyboard before, no luck. 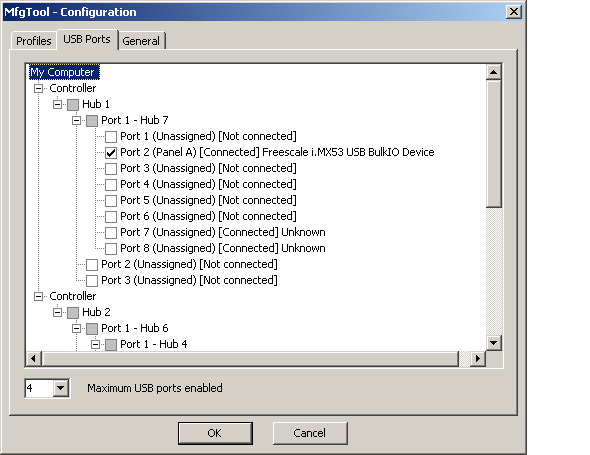 You must somehow activate USB host feature for USB keyboard/mouse/thumbdrive to be usable. I am not sure how to do this.